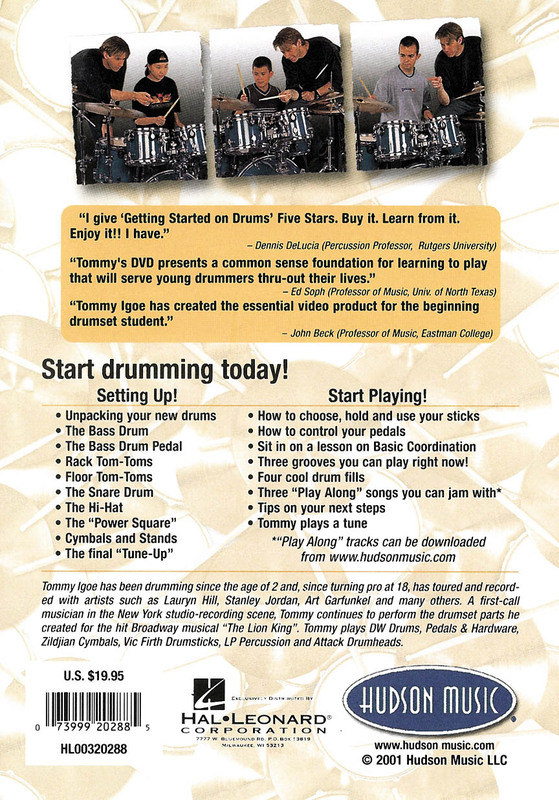 Tommy Igoe brings his 25 years of teaching and playing experience to bear; creating the first DVD for beginner drummers! He takes you on a journey that starts with taking a brand new drum set out of the box and gets you started making music right away. Setting Up Your Drums! (Part 1) is dedicated to understanding your new drums. All of your drums and hardware; along with Tommy's unique “Power Square” concept; are covered in detail. Start Playing! (Part 2) will get you playing and having fun right away. Tommy takes you through the basics of how to hold your sticks and how to use your pedals. He even brings out some young students to help demonstrate some great grooves and fills that you can play right away. 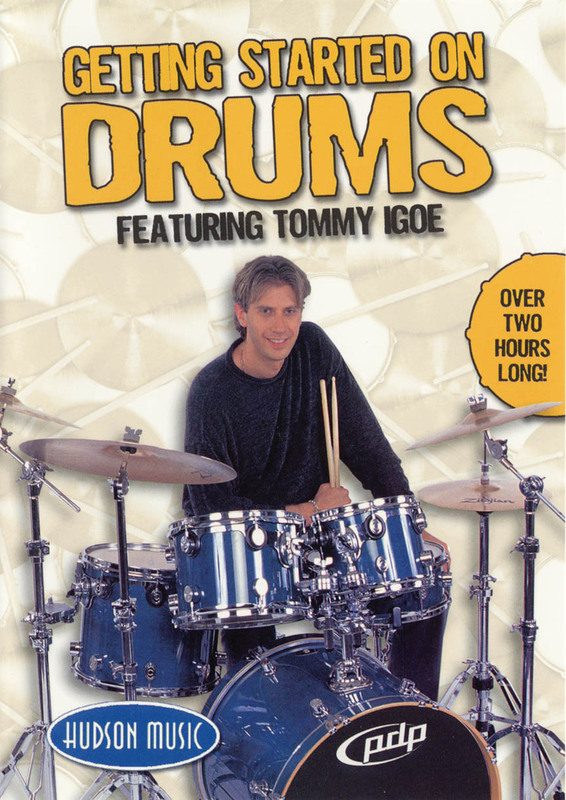 Special DVD Features allow you to select Tommy playing each of the grooves super slowly so you can really take your time to work everything out. Play-along versions of each one are included; so that you can start jamming and making music right away! 140 minutes.